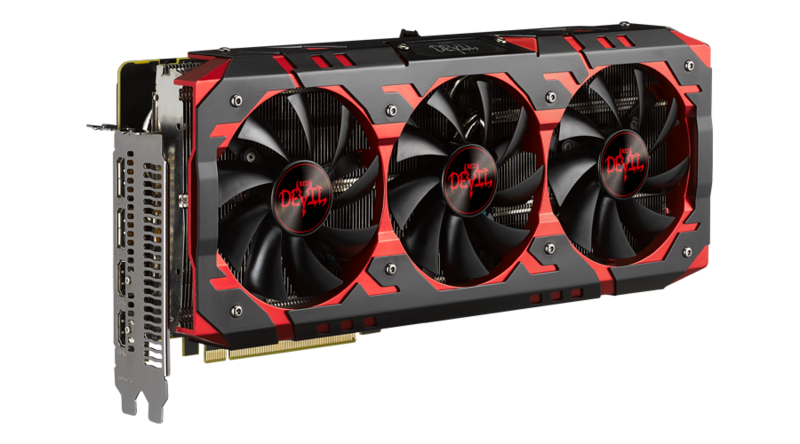 PowerColor VEGA 64 Red Devil has 4096 stream processors and 945MHz memory clock. With a dedicated High-Bandwidth Cache, the VEGA utilizes HBM2, the latest in graphic memory technology, to provide incredible levels of power efficiency and memory performance. 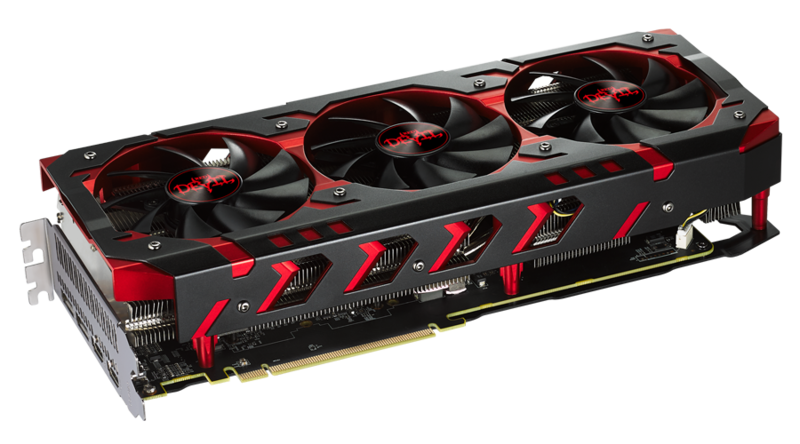 PowerColor RX Vega 64 Red Devil equips with two 8pin power connectors with 12 phases to bring extreme gaming experience. 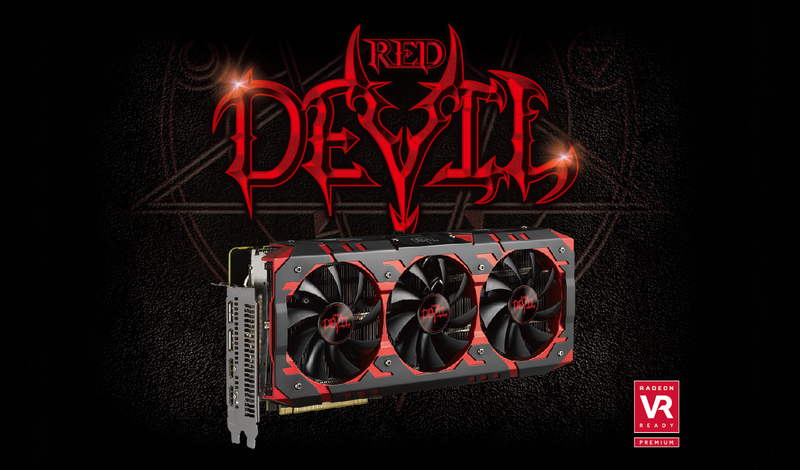 RX Vega 64 gears a triple-fan cooler which gears 8mm*2 + 6mm*4 not only makes the card as cool as possible, but also unleashes your ultimate gaming power! 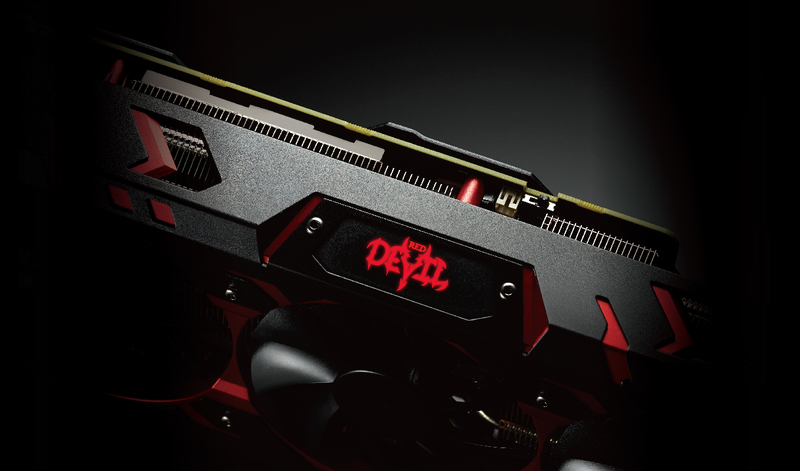 Red Devil back plate with additional cross bracket on HBM strengthens the protection of GPU. - Silent mode with Mute Fan technology ensures quiet operation. DirectFET provides superior power efficiency and offers better thermal protection. - Offer sufficient power supply. -Deliver highest stability for overclocking. 2x8Φ + 4x6Φ heatpipes combining with more heatsinks efficiently dissipate the heat and card as cool as possible. 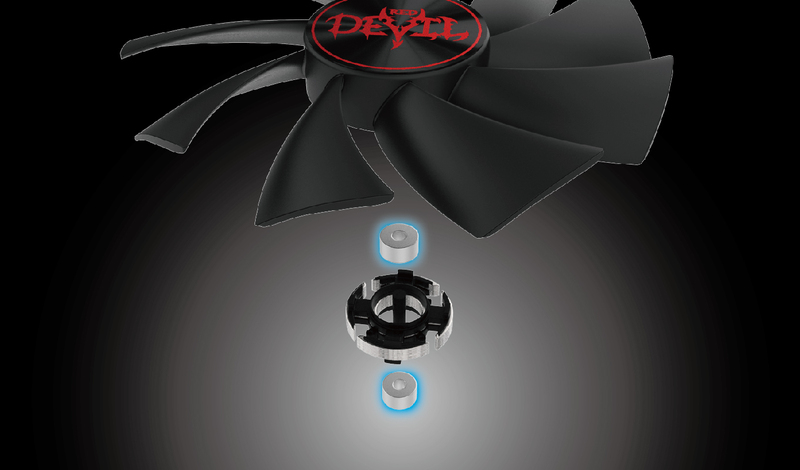 The cooling fan equips with two-ball bearings which increases 4X longevity and +20% efficiency. 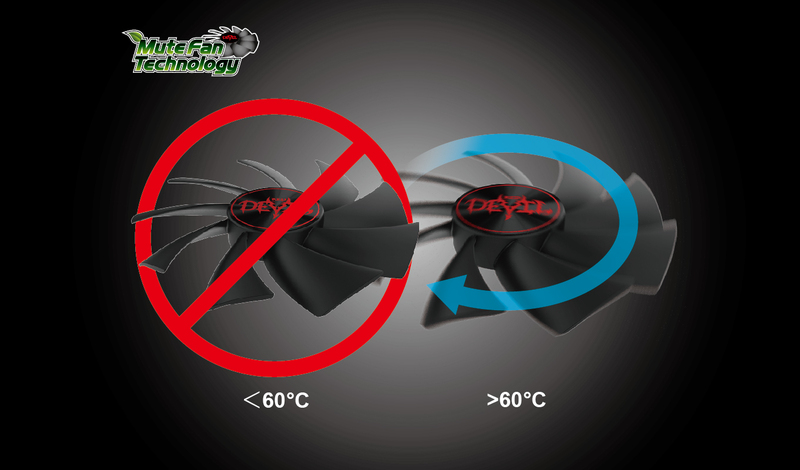 Mute Fan Technology intelligently turns off the fan below 60℃, providing silent gaming during medium and low load while reducing power consumption simultaneously. Choose the modes fit you! Silent mode ensures quiet gaming. Std. mode makes the temperature of the card as low as possible. OC mode pushes the limit of your card! 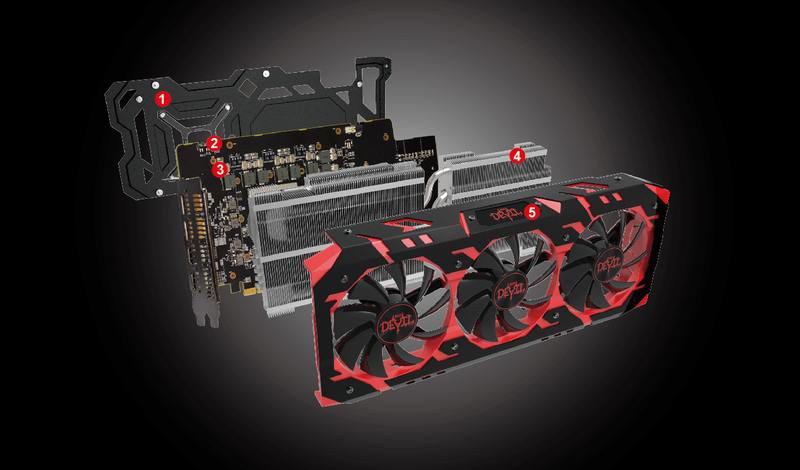 RX Vega 64 equips a triple-fan cooler which gears 8mm*2 + 6mm*4 effectively lower the temperature to make the extreme performance. On the other hand, it increases more fins on the heatsink to enlarge the surface for heat dissipation and better performance. - 1.5mm metal back plate is extremely tough to prevent PCB bend. - Additional cross bracket on HBM strengthens the protection of GPU. - Cross bracket is for supporting the fan and heatsink weight more balance on the GPU. 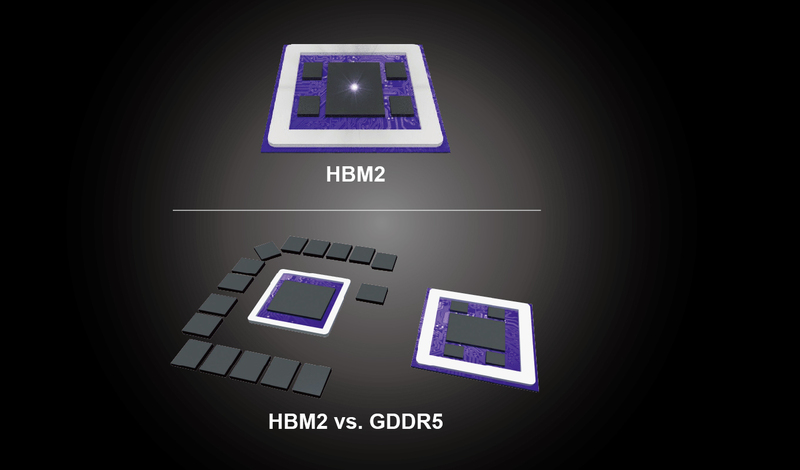 HBM2 vs. GDDR5 (Over 50% smaller footprint). Vega Red Devil has two HDMI ports which can connect display and VR device at the same time so you can enjoy VR experience more easily! LED switch glows your Red Devil in the dark! Multi-GPU support offers superior scalability. Increase our gaming performance up to 2x with AMD CrossFire™ technology, 2.75x for TriFire configurations, or 3.75x with QuadFire configs. 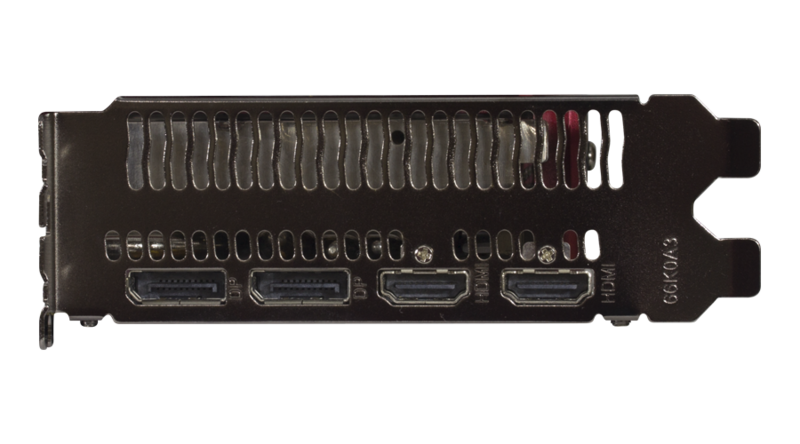 Run multiple displays from a single graphics board and expand your gaming field of view across all displays. Now it’s easier than ever to connect and use an external Radeon™ graphics card. With AMD XConnect™ technology, external GPU enclosures configured with Radeon™ Graphics can easily connect and disconnect to a compatible ultrathin notebook or 2-in-1 over Thunderbolt™ 31 at any time, just like a USB flash drive-a first for external GPUs! Integrated high speed HDMI output with 1080p 120Hz 3D Stereoscopic support, and 4K resolution display support. Get intense gaming performance and unrivalled image quality with stunning 3D visual effects, realistic lighting and lifelike imagery. Comprehensive OS supports the latest Windows10 functionality and Driver support. Comprehensive OS supports the latest Windows7 functionality and Driver support. 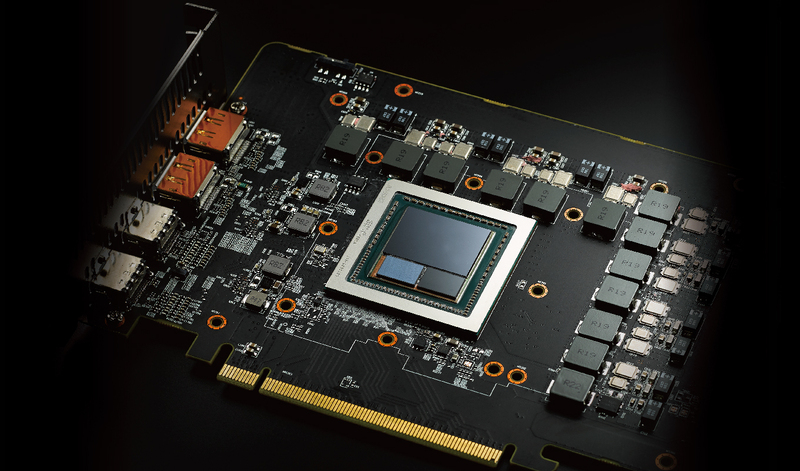 Delivers double the bandwidth per lane of PCIe Gen 2 for faster GPU. Experience beautifully rich and immersive VR environments and gameplay, augmented by player comfort and effortless compatibility. 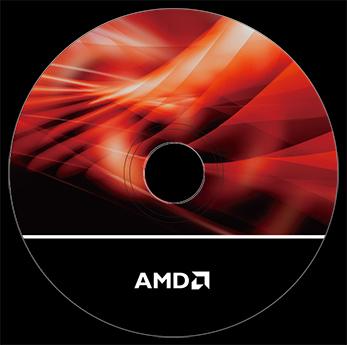 AMD LiquidVR™ technology, featuring ground-breaking Asynchronous Shaders, helps you avoid nausea and motion sickness during VR experiences. 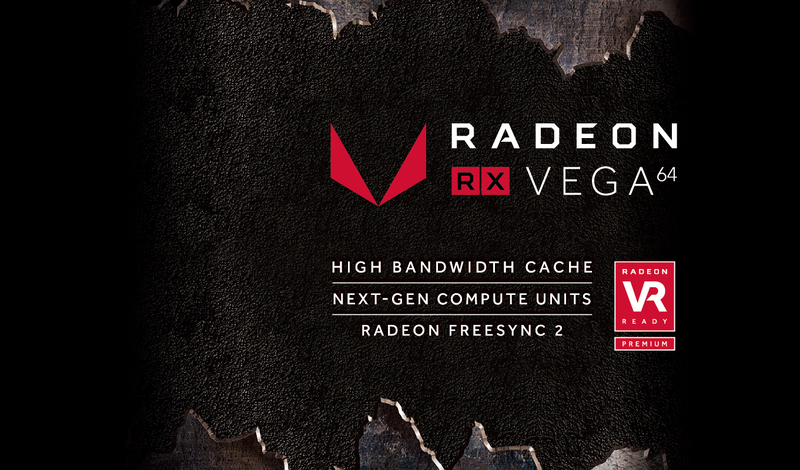 The Radeon™ RX Vega graphics card enables a fully immersive and comfortable VR experience. 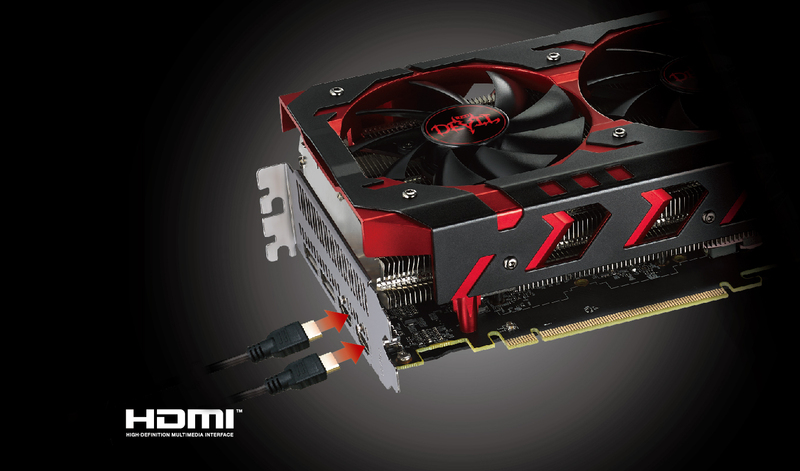 A power-saving feature that dynamically regulates frame rate based on your in-game movements. 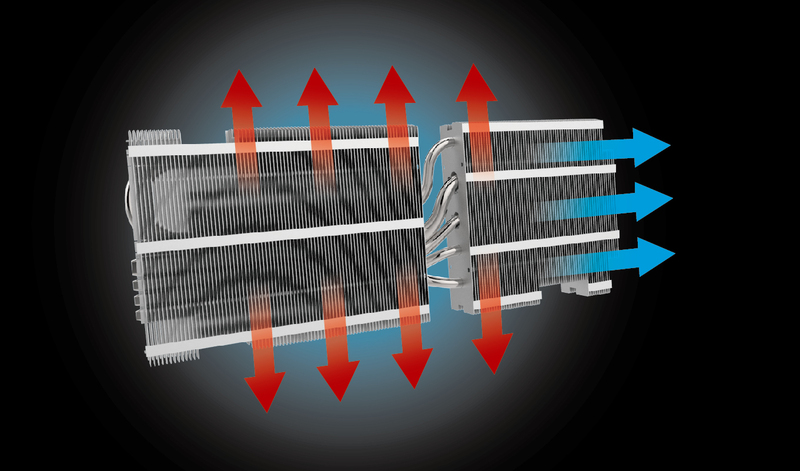 Radeon™ Chill can improve power efficiency and can lower temperatures for supported products and games when enabled through Radeon™ Settings. True to life echoes, convolution reverbs and fuller sounding environments with increased voices and audio objects deliver a richer and more immersive gaming soundscape. Better security by helping protect the pre-startup—or pre-boot—process against bootkit attacks and faster startup times and resuming from hibernation. Get quality that rivals 4K, even on a 1080p display while playing your favorite online games thanks to AMD's VSR. The entire information provided herein are for reference only. PowerColor reserves the right to modify or revise the content at anytime without prior notice. 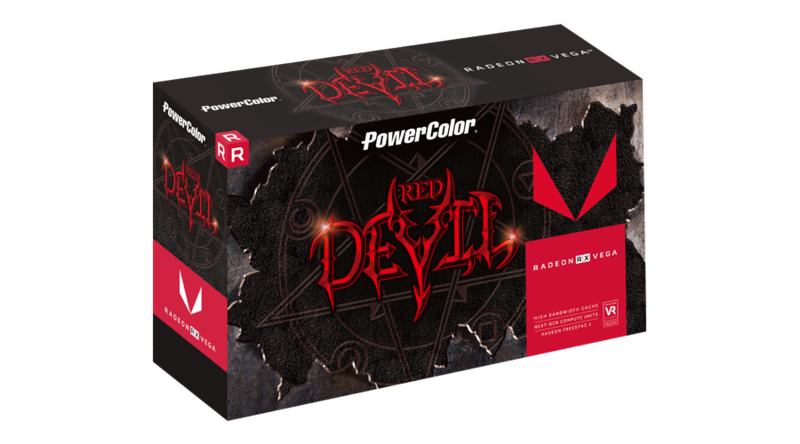 USA " PowerColor announced two custom Radeon RX Vega graphics cards: the Red Devil RX "Vega 64 and Red Devil RX Vega 56. 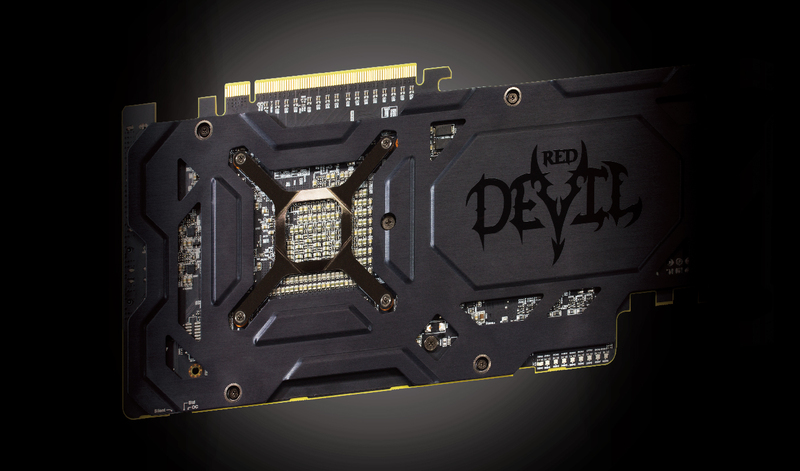 With triple-fan coolers and 2.5-slot wide designs, both cards come factory-overclocked and encased a black-with-red shroud with metal backplate, very much typical of PowerColor’s high-end Red Devil series. " USA " The Radeon Vega 56 excels at 1440p/60Hz or 1080p/144Hz gaming, while the Vega 64 bumps things up to 1440p/144Hz or entry-level 4K gaming. " UK " Red Devil the differences are mainly to be found in the aesthetics and cooling performance, both of which the PowerColor handles with aplomb. So if you like the looks, you're sure to like the performance and thermals, and thus it wins our OC3D Performance Award. " 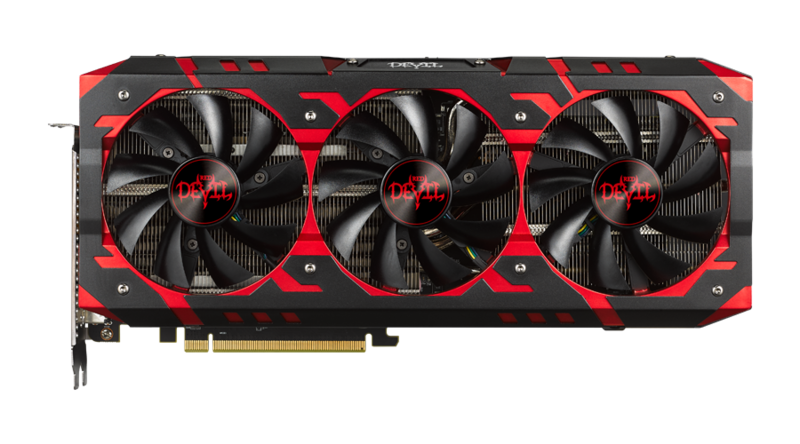 Gemany " Auch die PowerColor Radeon RX Vega 64 Red Devil lässt AMDs aktuelle Topmodell nicht eine Leistungsklasse höher rutschen, die ab Werk eingestellten Zugewinne durch das 40 Watt höhere Power-Target liegen im niedrigen einstelligen Bereich. " Gemany " ComputerBase hatte die Möglichkeit, die erste Vega-Partnerkarte zu testen, die es im Handel zu kaufen gibt. 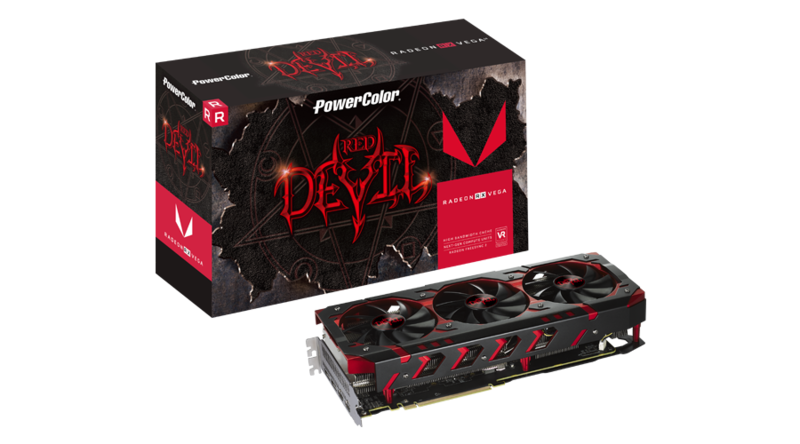 Und die PowerColor Radeon RX Vega 64 Red Devil (Test) weiß zu gefallen. " Germany " We really liked the Powercolor Red Devil Vega. already AMD's very good reference board, Powercolor has modified it a bit for its own purposes and, above all, also put on a terrific cooler that lives up to its name. Although the card was trimmed for cooler performance rather than acoustic restraint, the result is not intrusive loud, but really nice and cool. "